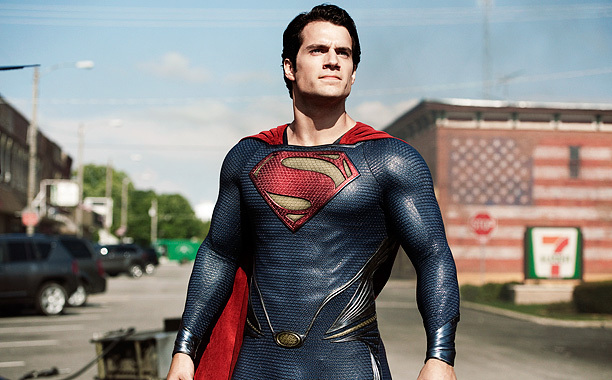 If you’ve been reading my blog for a while now, it’s no secret that I am both a proud Kansan and a movie-lover, two qualities which contributed to an analysis of the fictional setting of Looper and which I shall now employ to nerd out about all the Kansas references in the new Superman movie Man of Steel. It’s no secret that Clark Kent grows up in the fictional town of Smallville, Kansas, although according to a recent article in the News-Leader, Smallville wasn’t linked to Kansas until the 1978 “Superman: The Movie.” I haven’t read enough early Superman comics to know whether that’s true or not, but the Kansas connection is not in any doubt right now considering the town of Hutchinson is going to be officially re-named “Smallville” for a day on June 21, while across the state in capital city Topeka Clark Kent will be inducted into the Kansas Hall of Fame. Clearly I am not the only Kansan nerding out these days. Even though the farm grew corn instead of wheat, it felt very Kansan, as did some of the scenes when Superman flies over farmland, and the one where he gets beat up in the muddy parking lot outside “Sullivan’s Truck & Tractor Repair”. The first official shout-out to the Sunflower State came during a flashback to a young Clark Kent struggling to focus with his hypersensitive and powerful senses in a classroom. The teacher is heard saying “…when Kansas became a territory,” and then directs her attention to the clearly disturbed boy who is freaking out that he can see everyone’s skeletons. “Clark? I asked if you could tell me who first settled Kansas?” she repeats. I absolutely loved this, because Kansas History is actually required 7th grade curriculum in this state. (I guess we can infer that Clark in in junior high in this scene!) I remember learning Kansas history, although when I read through the current curriculum standards just now (to research whether or not it was still required) I don’t remember the answers to all the suggested questions. Still, the introduction to the section on Kansas history says “The course should seek to build a connection or relationship between the student and the state,” and here I am over ten years later blogging about Kansas pride, so it must have been effective. The second Man of Steel Kansas-specific reference was when Cark’s adopted father revealed the truth of his alien origins, showing him the ship he arrived in and the mysterious command key that was inside. “This was in the chamber with you,” he says. “I took it to a metallurgist at Kansas State. He said whatever metal it’s made of didn’t even exist in the periodic table.” That would be K-State, home of the Wildcats, in Manhattan, KS. It makes sense to me that Mr. Kent would have gone there rather than the other major university, KU, because as a fifth-generation farmer, (a fact he mentions in a later argument with Clark), he likely would have gotten an agriculture degree from K-State, so he would have more ties to and been more familiar with that campus than rival KU’s in Lawrence, KS. There was also a KU shout-out in one of the trailers for the movie, when Clark can be seen wearing a KU t-shirt. That scene must have been edited differently for the movie, because I don’t remember being able to see it in the movie itself. Rock Chalk, Superman’s a Jayhawk. It’s the tornado scene, though, which deserves its own mention here because when Mr. Kent shouts to “Go for the overpass,” I almost yelled “NO, THAT IS THE WORST PLACE TO GO!” Seriously, there are tons of resources that will tell you this is a terrible idea. (**update** Weather officials have responded to this scene specifically, reiterating that you should not seek shelter from a tornado under and overpass.) If you’re out driving on a highway when a tornado strikes, the safest thing to do is get out of the vehicle and lay down in the lowest possible ground you can find, like probably the ditch next to the road. The Kents should have known that. And why were there so many people out on the road anyway? Even if there wasn’t a tornado watch, (in which case most people know not to go out if they don’t have to,) that looked like more cars than you’d normally see on a Kansas Highway that isn’t the intersate…unless maybe it was a holiday weekend? Anyway, back to Kansas references: when Superman passes out in the Kryptonian ship’s atmospherics and has a dream-state confrontation with Zod, he starts out clad in a Kansas City Royals baseball shirt. Someone in my audience at midnight let out a loud “YESSSSS!” when that shirt appeared, but everybody else only chuckled. Finally, towards the end of the film when Superman confronts one of the military leaders about trying to follow him with a spy drone and the officer demands to know how the government can be reassured that he won’t one day betray their interests, the cheeky reply is “I grew up in Kansas, General. About as American as it gets.” That line got a decent laugh from the audience in my theater, but I didn’t really like it. I suppose that in Superman’s defense there isn’t really a good answer to that question, and maybe he was just trying to deflect it with humor. But it makes two assumptions that are neither true nor helpful in the divisive political gridlock this country seems trapped in. The first is that it assumes that the implied Midwestern values are “really” American, and people who live on the coasts or in a blue state are somehow un- or less-than American. Like it or not, the reality is that America is made up of both liberals and conservatives, that as a collective whole we share more beliefs than we care to admit, and that our system only works when we’re able to work together and find compromises, so stating that a particular area is “more American” than others not only insults those not from the selected area, but it invalidates all other possible perspectives from citizens as “not really American”. Besides, it isn’t even accurate to prescribe the same values on every single Kansan; just like the country at large, we’re a collection of individuals with various opinions and views. The second assumption is that a person doesn’t change their thinking or values when they grow up. 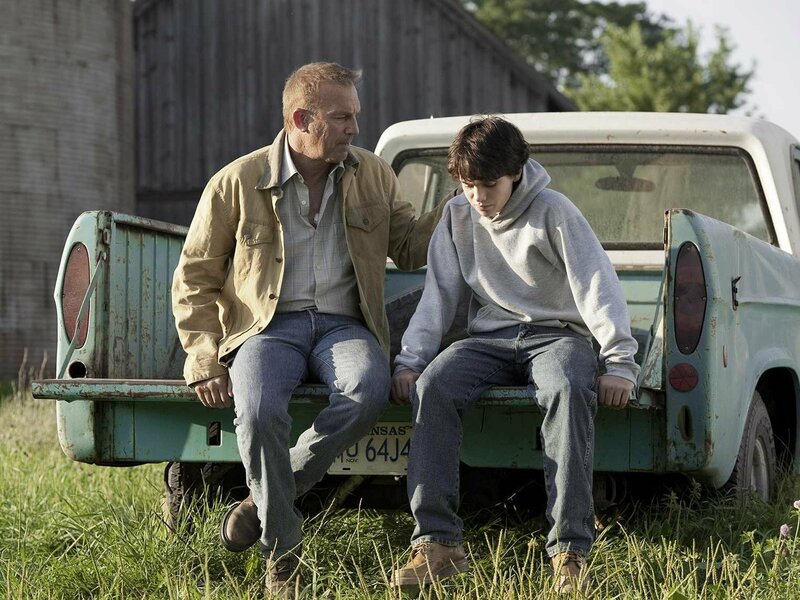 The storyline in Man of Steel established that Clark spent several years wandering the earth outside of Kansas, including working on a fishing boat. That means he would have encountered other ways of life and lines of thinking besides what was accepted as normal in his hometown. That doesn’t mean his convictions would have necessarily changed, but when you see that other people live and think differently than you it changes your perspective on the world. I’m definitely speaking from personal experience, having grown up in a town where “diversity” meant that we had Catholics and Protestants, and then spending years in the liberal cocoon of a university campus, but I think it’s probably a truth about growing up everywhere, that at some point you have to re-examine the assumptions you’ve made and decide whether you still believe them. What do you think? Am I being over-sensitive about a line that was meant as a joke? Let me know in the comments if you noticed any other Kansas shout-outs that I missed. There was one other instance that I was afraid was going to become one, but was thankful when it didn’t. It was when Superman was fighting Zod’s female henchman, and she went on a little rant about how Kryptonians were more evolved than humans, so they deserved to take over the planet because “if history has proven anything, it is that evolution always wins.” The subtext is that teaching evolution in Kansas schools has been very controversial, but I was glad the movie didn’t actually make explicit reference to the fact that our state school board elections are national news by having Superman bounce up off the pavement and say something like “Well in Kansas, we’re not so sure about evolution!” I do wonder if there was an earlier version of the script where he did, though, because in the film he actually doesn’t respond verbally to her diatribe at all. Anyway, I give the movie an A- for having so many great Kansas references, and the only reason it’s not an A+ is the tornado-sheltering-under-the-overpass scene. Maybe I’ll post my thoughts on the movie apart from the Kansas aspect later. Oh no he did not! I can’t believe he said that! Are you freaking kidding me? No. Way. What a snob. What?! WHAT?! I’m officially mad at you now, Johnny Depp. The publicity blitz in the past week might make cynics suggest otherwise. But the film is Depp’s homage to Thompson, who died in 2005, and also the first release by Depp’s own production company, which would account for his uncharacteristically energetic media campaign. “I believe that this film, regardless of what it makes in, you know, Wichita, Kansas, this week – which is probably about $13 – it doesn’t make any difference. I believe that this film will have a shelf life. I think it will stick around and people will watch it and enjoy it.” Does he suspect it will go down better in Europe than the US? Yeah, we hicks is too stoopid tu ‘preciate nething ‘cept some nice big Michael Bay explosions! Speaking as someone who lives in Kansas, who grew up outside the big cities, and as someone who regularly analyzes every one of the numerous movies I watch, and, yes, enjoys intelligent films, I find Depp’s statements to be highly ignorant and offensive. Let’s start with ignorant. First he picks out Wichita, Kansas as an example of a place where he expects his movie to do very poorly, so poorly he can make a sarcastic comment about it. Then, he explains why he doesn’t care by reasoning that outside of the big cities, people are too dumb to appreciate “intelligent” films. Dear Mr. Depp, were you aware that Wichita is the largest city in the state of Kansas? So, when you say “outside the big cities,” do you really pretty much mean not New York? Or do you know nothing of Midwestern geography and assume that the entire state of Kansas is full of Auntie Ems, Dorothys and Totos running around in black and white? Secondly, what a simplistic and ridiculous theory to say that people in cities appreciate “intelligent” films and rural folk do not. Surely you can’t really believe that living in a metropolitan zip code actually makes one smarter? Don’t you think that maybe the reason films that don’t appeal to broad audiences fare better in more densely populated areas is because there are just more people? The ratio of people who like a particular film versus people who don’t can’t be that different from region to region, but if 5% of the people like it that might only be 200 people in a town of 4000, compared to 15,000 in a town of 300,000. That doesn’t mean people in the bigger town are smarter or more artistically appreciative. It just means the bigger town is bigger. And you know what else, this is all in reference to his newest movie, The Rum Diary. I’ve seen said movie. Watched it in a theater in Kansas, and there was a decent crowd there. Several of them appeared to enjoy it. I personally did not. And not for one minute did I think of classifying it as an “intelligent” movie. It just wasn’t very good. The reporter of this Guardian article agrees with me, too. The film is based on an unpublished novel Depp found in Thompson’s basement in the 90s. Heavily autobiographical, it tells the story of a hard-drinking young reporter called Paul Kemp who goes to work for a paper in Puerto Rico in 1960, and becomes outraged by the corruption and devastation wreaked by American capitalism’s arrival on the island. It turns into a tale of heroic journalistic integrity – but not, in truth, a good film. Depp comes across as thoughtful, friendly and good fun. HAHAHAHAHAHAHAHA! 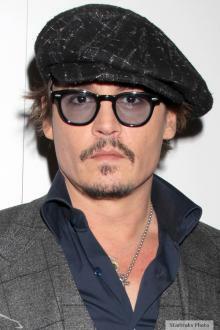 Sorry Mr. Depp, but to the people in Kansas, you come across as thoughtless, mean and ill-tempered. But what do we know. Most of us live outside the big cities.